We are adding another piece to our Maryland collection!! This one features the flag, a beautiful Oriole bird and black eyed susans. 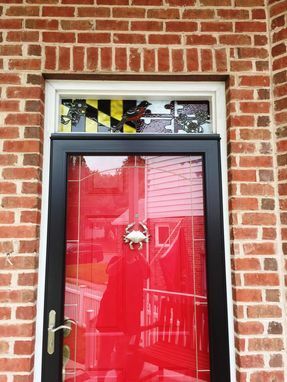 Size: 35 7/8 w x 9 3/8 t.
Are you a proud Marylander?? If the answer is yes, then you should consider this unique design made out of pure Maryland love!